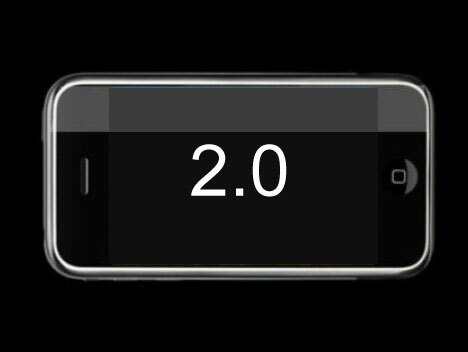 Things seem to be heating up concerning Apple's release of the iPhone hardware version 2. Many Mac websites are reporting shortages of the existing phones and, most recently, the Apple online store reports the current version of the iPhone as "unavailable". I'd like to see some improvement on the camera. Maybe a better lens and software that allows me to control exposure. Currently I find it difficult to take good pictures with the phone. I have a Garmin NUVI in my car that gets me anywhere I need to go. I don't see the iPhone replacing it even with a GPS system. It would be nice to have GPS on board but certainly not critical. I'm also curious to see what effect that would have on the battery. Even if we had 3G, the iPhone still can be slow loading web pages. John Gruber did a post on this and he is right. The iPhone takes about 15 seconds to load a page even on wifi. A faster processor would fix this. 4. More memory .. a given. With the application store going live next month. Our 8 gig iPhones are going to start feeling very small. I expect a 32 gig model before long. My own personal crusade. I had to say it. I've only touched upon the obvious points. What may even be more interesting are the new features that are not on this list. Time will tell. So am I upgrading you ask? Eventually, but probably not* right away. My daughter's contract with Verizon ends next February so I'll most likely wait until then to make any moves. * I've learned not to categorically state I will not be buying any Apple products. It just never seems to work out.